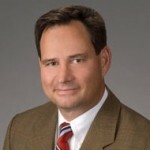 Mr. Buckley previously was a partner in Troutman Sanders LLP and Smith Moore Leatherwood LLP. Allen Buckley’s article “Why the Same Desk Rule Should Not Apply to Cash Asset Sales” was used by the U.S. Treasury Department to substantially repeal the same desk rule (by issuing Rev. Rul. 2000-27). Mr. Buckley has been counsel in several class action lawsuits, including a class action lawsuit filed in 2014, seeking to prevent the U.S. Treasury Department from charging user fees of tax return preparers and requiring refunds of fees paid. That case is now pending in the U.S. Court of Appeals for the District of Columbia, after having been won at the District Court for the District of Columbia. University of Florida (LL.M. in Taxation 1989; 3rd in the class).